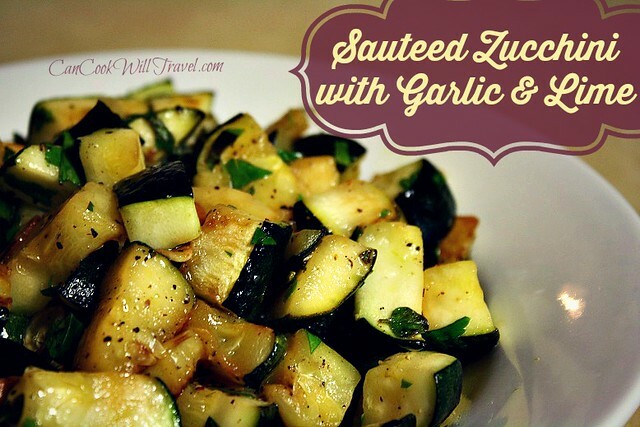 Before you know it Sauteed Zucchini with Toasted Garlic and Lime will be on your table. 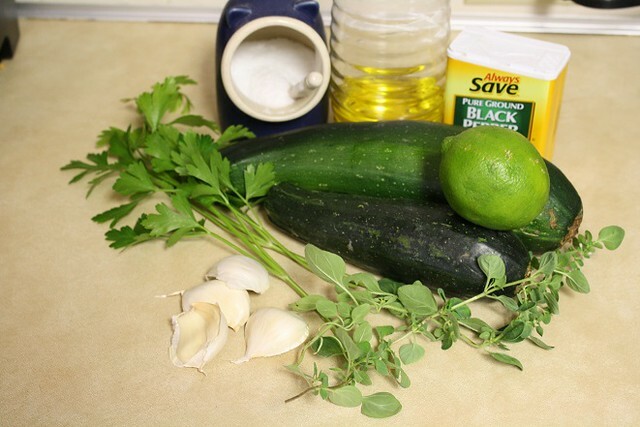 Here’s what you’ll need: Fresh Flat-leaf Parsley, Fresh Oregano, 5 Garlic Cloves (my cloves were enormous so I just used 4), Kosher Salt, Olive Oil, 1 large Zucchini (or 2 small to medium ones), Black Pepper, and a small Lime. Start off by washing your zucchini and drying it. 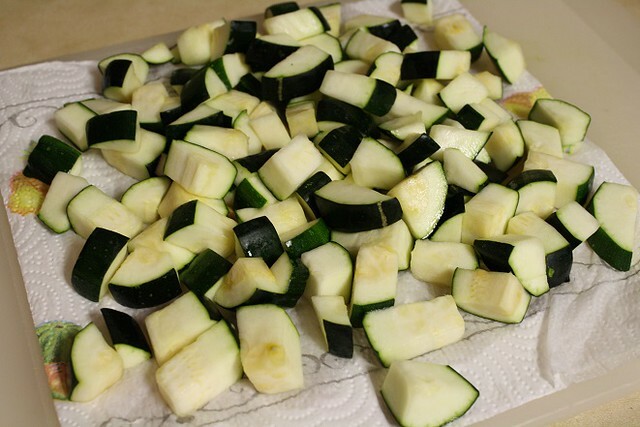 Then cut off the ends of the zucchini and dice the remaining zucchini into cubes. 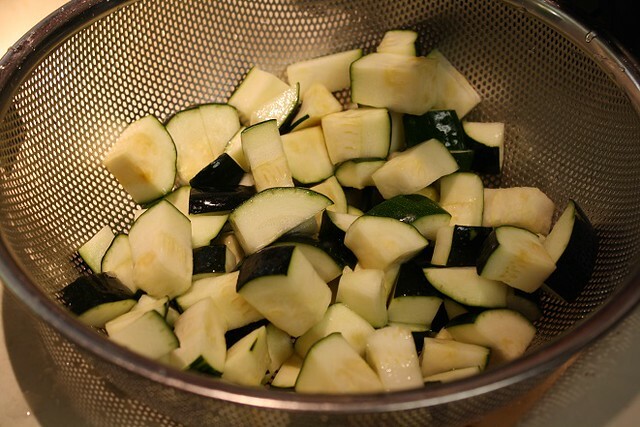 Place the zucchini in a colander and sprinkle some kosher salt over it. Use your hands and gently mix the salt and zucchini together. Let the zucchini sit for 30 minutes. 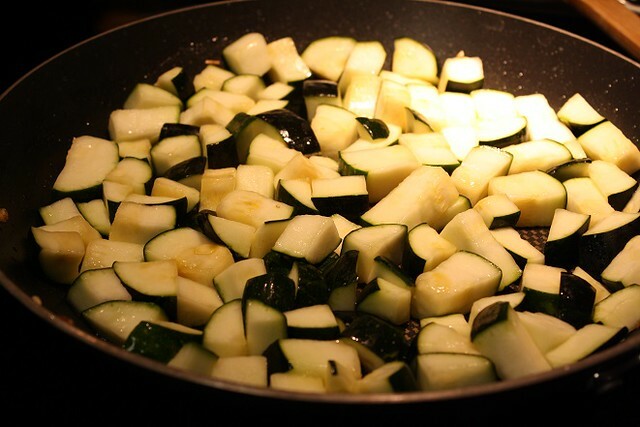 After 30 minutes, rinse the zucchini with water to wash off the salt. Use paper towels to pat all of the zucchini dry and remove as much moisture as you can. Rinse and pat dry some fresh oregano. 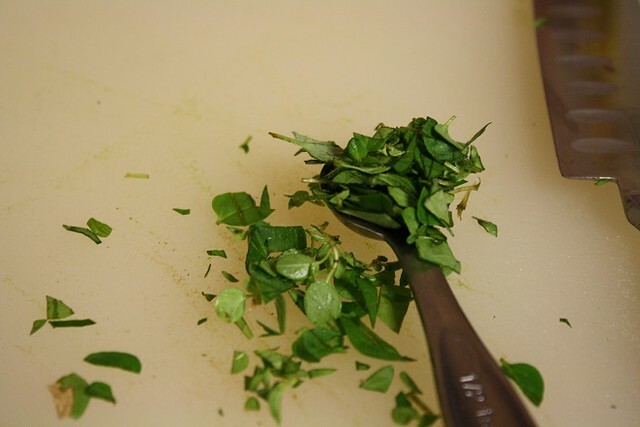 Then chop up the oregano leaves and measure out about 1/2 teaspoon of leaves. Rinse the parsley leaves and pat them dry. You’ll want about 2 tablespoons of chopped parsley. Next up is the garlic. 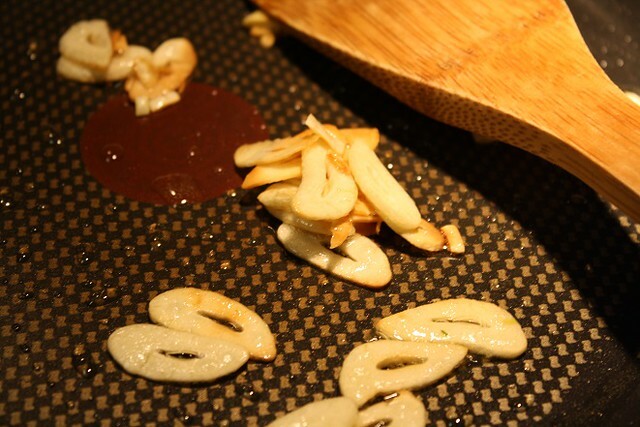 Just remove the peel and then thinly slice the garlic cloves. Grab a large, non-stick pan and turn the heat under it to medium heat. Then drizzle in some olive oil…as much or little as you like. Add the garlic to the hot oil. Stir it frequently just until it browns. 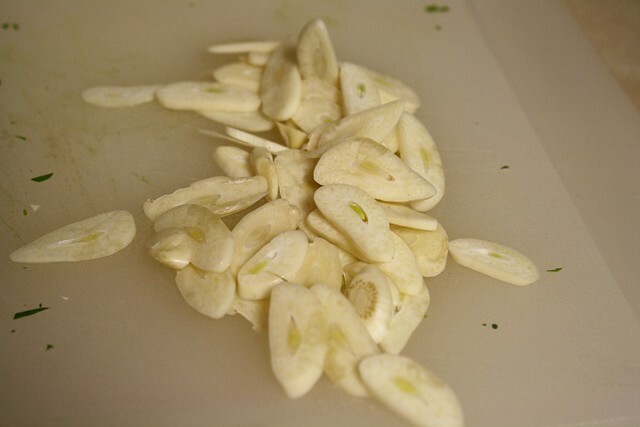 Here’s the browning garlic. Just be sure you watch it so it doesn’t burn. USing a slotted spoon, remove the garlic from the pan and place in a bowl until you need it again. Next you’ll add the zucchini to the hot pan. Spread it into a thin layer and let it sit in the pan without stirring. You’ll want to check it after 5 minutes or so to see if the zucchini is starting to brown. If it isn’t, just let it sit a bit longer. Here you’ll see my zucchini has started browning so I’ve flipped to the other side to get it browned. 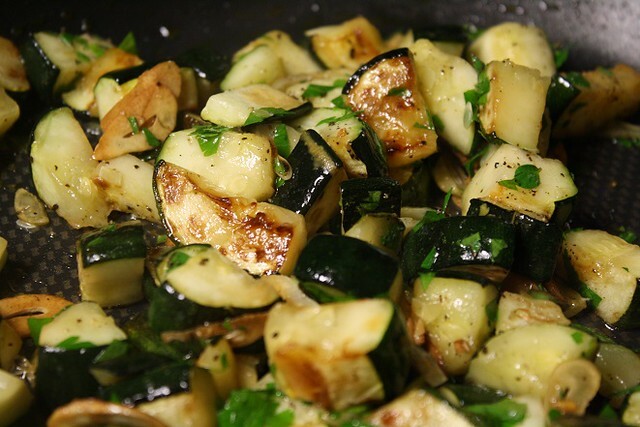 Don’t worry if it takes longer than the suggested 10 minutes to brown the zucchini. It’s well worth it for the flavor and texture. 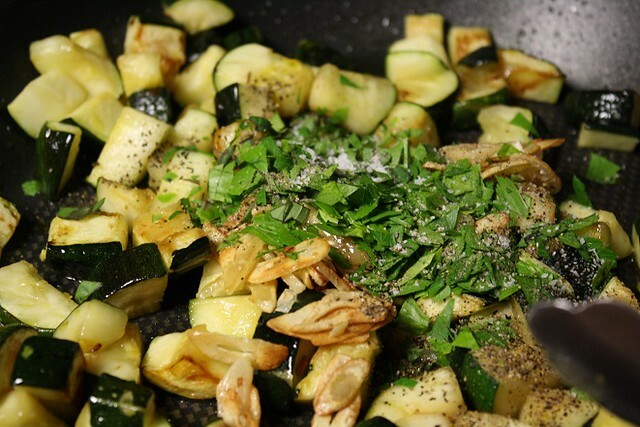 Once the zucchini is cooked, turn off the heat and add the garlic back in along with the chopped oregano and parsley from earlier. Then add salt and pepper to taste followed by the juice of half of a lime. Toss the ingredients together and serve it while it’s still warm. I served mine with last week’s fabulous spicy quinoa crusted chicken. I cannot wait for you to try this one…that last minute addition of the lime juice seriously makes this dish amazingly good! You’ll love it! Happy browning! 1. Begin with prepping the zucchini. 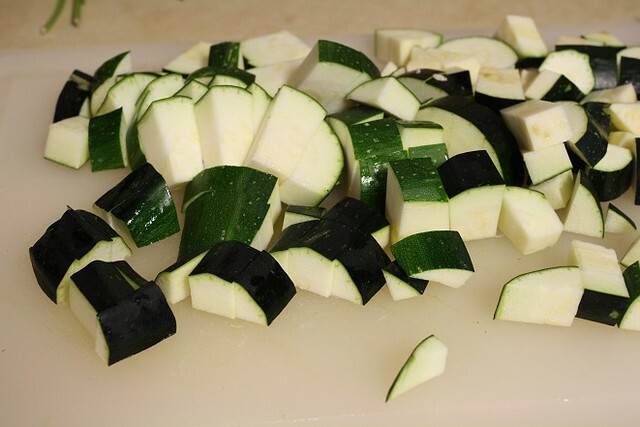 Remove the ends of the zucchini and then cut it into cubes. Put the zucchini into a colander and sprinkle some kosher salt over the top. 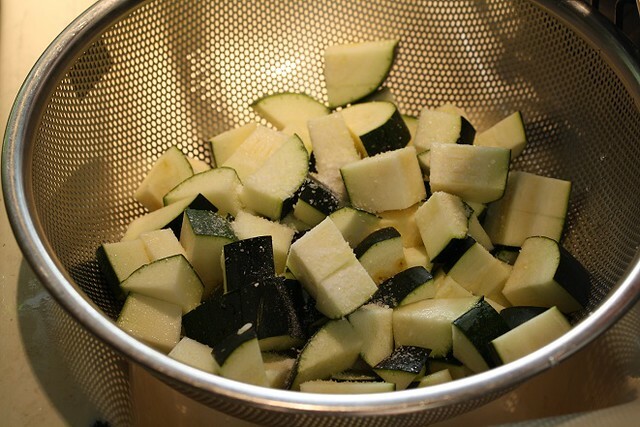 Toss the zucchini with the salt and let it sit in the colander for 30 minutes. Then rinse the zucchini and finally pat it dry with paper towels and set them aside. 2. Time to cook! 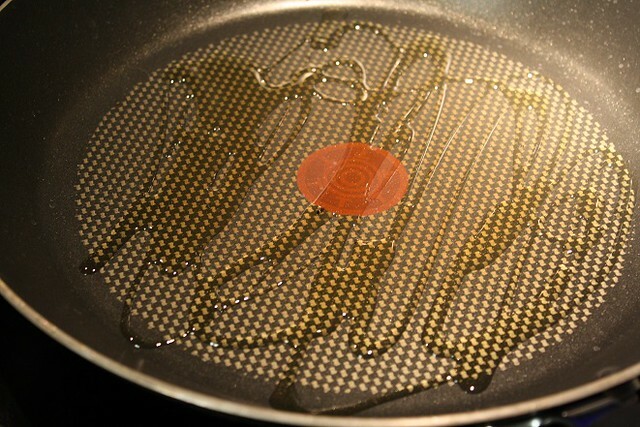 Grab a large, nonstick pan and drizzle some olive oil into the pan. Heat it over medium heat. 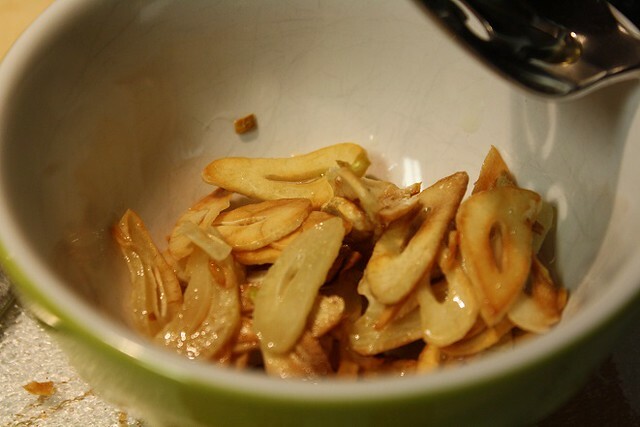 Once the oil is hot, add in the thinly sliced garlic. Stir the garlic frequently and keep an eye on it. 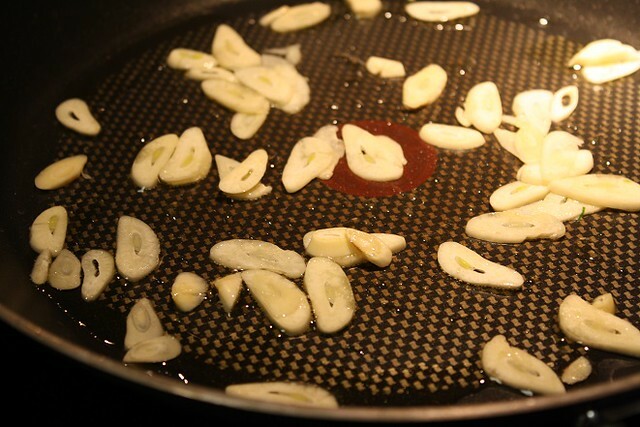 As soon as the garlic is browned, use a slotted spoon to remove it from the pan. 4. 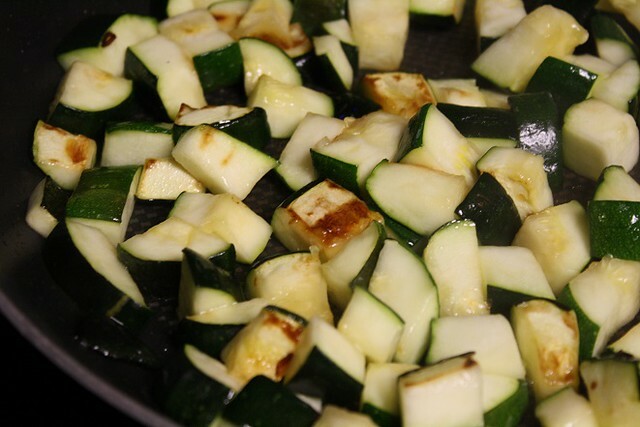 Turn the heat off under the pan and add the garlic to the browned zucchini. 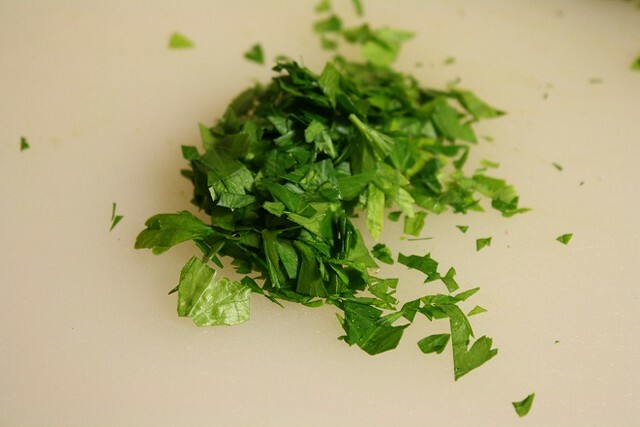 Then add in the juice of half of a lime, and the chopped oregano and parsley. Don’t forget to season with some salt and pepper as well. Combine well and serve right away. You’ll love it!